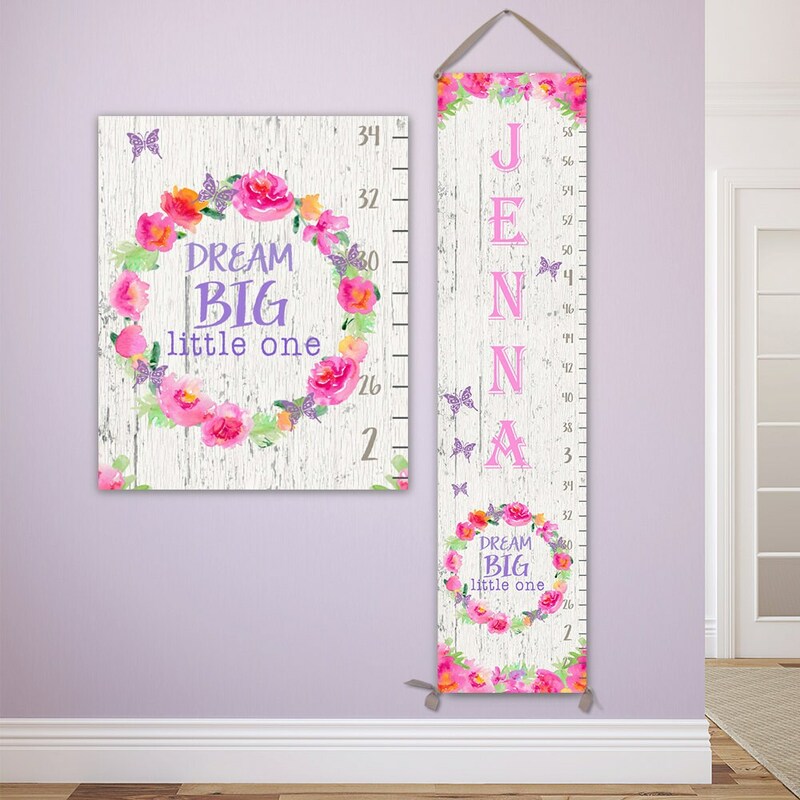 Canvas growth chart with a white wood background, watercolor floral wreath and butterflies with the quote "Dream Big Little One". 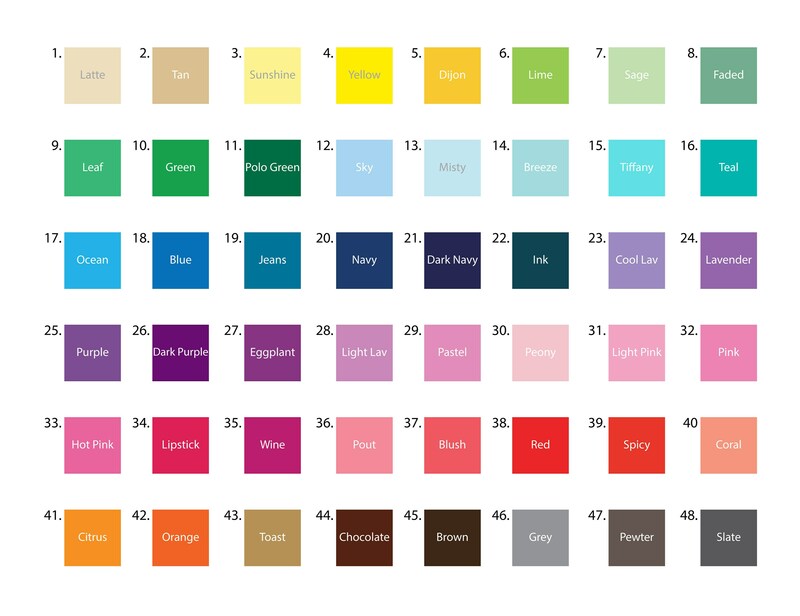 This dreamy chart will brighten up any room! The colors are stunning and the canvas texture and ribbon are luxurious. The growth chart will last as a loving family heirloom forever! Our canvas growth charts are printed with a professional large format printer with archival quality giclee inks on heavyweight, museum grade canvas. The canvas growth chart arrives with wooden dowels at top and bottom and a grosgrain ribbon and is ready to hang and make memories. Kids love seeing their name in big letters and parents love the modern designs! Kids just love to measure themselves! If your child is older, just ask your doctor for their height records to add them to the chart. • When you order, please leave your child's name and preferred name font color (from the Color Chart) in the Notes box at checkout. If you want metric measurements, request that there as well. • Select whether you want the chart to measure up to 5'2" or 6'2" from the drop-down menu. • Ships within 1-3 business days. Expedited Shipping available. --- Transport time in Continental US: 1-7 business days. • Size: 10” W x 42” H or 54" H. Hang chart 20" from ground. • Use a Sharpie to record your child's milestone heights on the chart (not included). Every chart is designed with love to make its recipient feel as special as they are. We also donate a portion of all proceeds to two charities close to our hearts - Girls, Inc., helping build confidence in girls, and Donors Choose, supporting public school classrooms. © All rights reserved. Copyrights fully enforced.